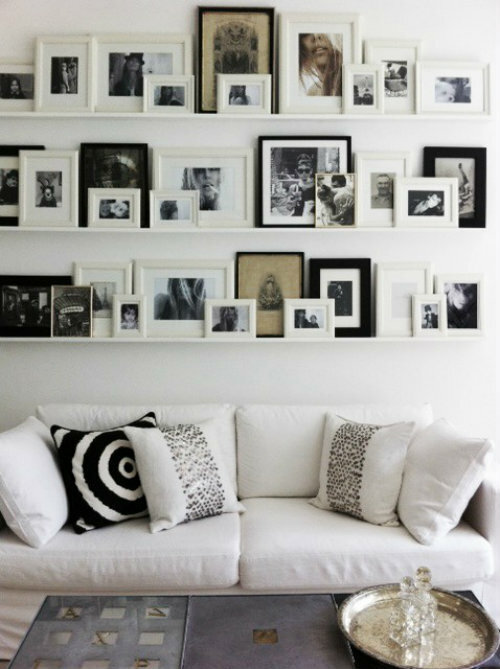 I love putting my family photos on display, and there's no better way to do it than with a beautifully curated gallery wall. I've always used black and white photos with black frames to house them, but I'd love to switch it up a bit, perhaps add a little color. Here are several ideas that inspire me. Frame photos with pretty tape. This is possibly the easiest DIY ever. Shelves of frames all stacked and crowded together looks random, yet so pretty. 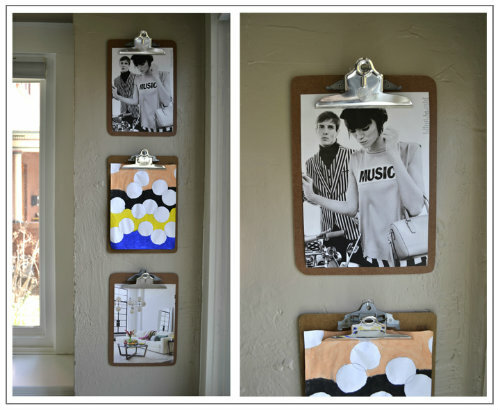 I love the idea of painting the clipboards before clipping the photos to them. 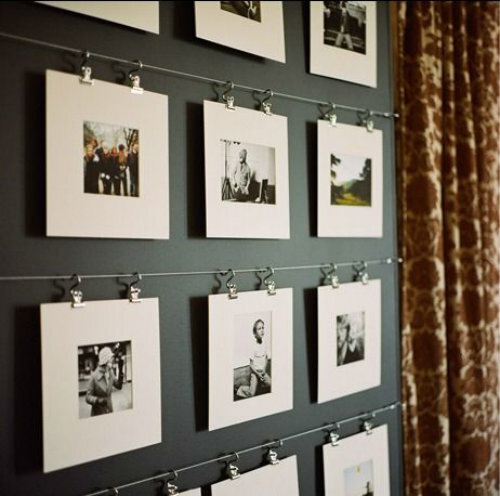 Wire and hooks, hung against a contrasting wall, really allow the photos to stand out. 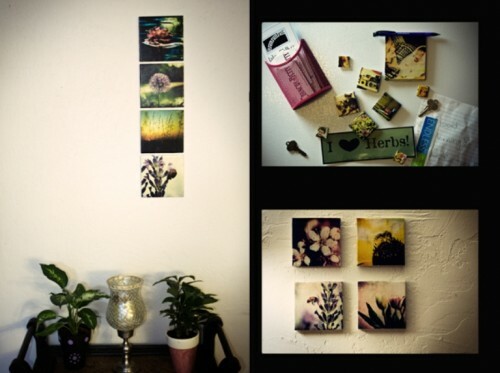 Making tiles with the photos turns them into little works of art. A frame this big delivers maximum impact. 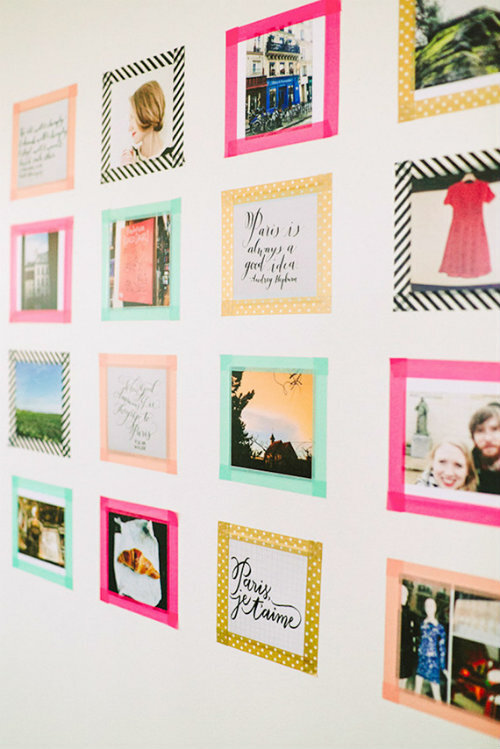 We have soooo many pictures and I'm trying to find the best way to display them; great post! NICE!!! Great ideas! The tape one is truly the easiest and cutest to do. 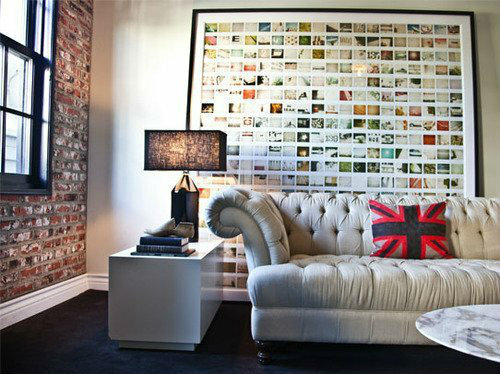 Great way to bring pops of color in a room! Yeah, I'm really digging the tape. I actually saw some gold glitter tape, so you know I'm all over that!